Taking the contraceptive pill, particularly for seven or more consecutive years, is linked to a lowered risk of developing rheumatoid arthritis, finds research published online in the Annals of the Rheumatic Diseases. But no significant link was found for breastfeeding a practice that has been associated with a protective effect after accounting for various potentially influential factors, the findings show. According to a new study by Karolinska Institute in Stockholm, Sweden, and published in the journal Annals of the Rheumatic Diseases it has been found that women who take the oral contraceptive pill are protected from going on to develop arthritis in later life. This has led scientists to believe hormonal and reproductive factors may contribute to the underlying cause. Rheumatoid arthritis an autoimmune systemic disease which mainly attacks the joints, most often the knees, hands, and wrists but it can also affect the lungs, heart, eyes, and other parts of the body. It develops between the ages of 40 and 50 and affects up to 1 percent of people worldwide.It occurs when the body’s immune system targets joints such as the wrists and ankles, causing painful swelling, and is twice as common in women as it is in men. Researchers believe that hormonal changes prompted by the pill may decrease the risk of suffering from the painful disease.In the study it was found that using the common contraceptive method for seven or more years was associated with a 19 per cent lower chance of developing rheumatoid arthritis.Women who had stopped using the pill still appeared to benefit from a protective effect, enjoying a 13 per cent lower risk of the condition.The data for the study was drawn from 2,809 women with the disease and compared it with the medical records of 5,312 women randomly selected from the general population. The data from the Swedish Epidemiological Investigation of Rheumatoid Arthritis (EIRA) included women aged 18 and above, living in a defined area of Sweden between 1996 and 2014. All participants had given blood samples, so the researchers could check for a blood marker for rheumatoid arthritis called anti-citrullinated protein antibodies (ACPAs). It was found that current use of contraceptive pill was linked to 15 percent reduced risk, while past use was linked to 13 percent reduced risk.The researchers suggest that there could be a “dose-response” effect: using oral contraception for more than 7 years was linked to a 19 percent ler risk of developing rheumatoid arthritis, even for women who tested negative for ACPAs. 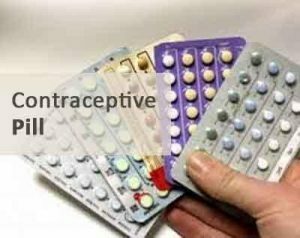 In this present study it was therefore concluded that women who had ever used oral contraceptives had a significantly decreased risk of developing RA . Although a lower risk was also found among women who had breastfed at least one child, this was not significant after potentially influential factors were accounted for. This is an observational study so no firm conclusions can be drawn about cause and effect, added to which the researchers were unable to glean any information about the dose or type of oral contraceptive the women used. But the number of participants was large, and a wide range of potentially influential factors was looked at, the researchers point out.